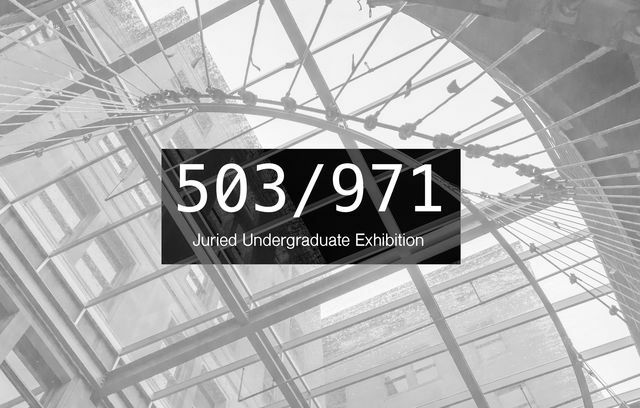 Organized by two students, Joseph McGehee and Joseph Greer, 503/971 is juried by three of the city’s top contemporary curators, Kristan Kennedy (Portland Institute for Contemporary Art), Robert Snowden (Yale Union), Libby Werbel (Portland Museum of Modern Art). 503/971 opens April 2, 2015 in PNCA’s New Commons and runs through April 29, 2015. An opening reception is scheduled for April 2, 6-9pm. The exhibition poses a trans-institutional perspective as a means of considering PNCA’s position within expanded regional arts and culture networks. Recognizing the diversity of collegiate art programs, this exhibition will act to assemble a collective, media-blind survey of the formal and conceptual investigations within our region. The title of the exhibition, 503/971, makes reference to the old and the new, to shared histories and futures, and with a nod to the PNCA building’s history as a federal post office, to networks and communication. And 503/971 celebrates the future of PNCA as a member of Portland’s art community, and the potential for collaboration between academic institutions and individuals alike.